Roseanne is making some serious changes. According to Variety, co-showrunner Whitney Cummings is leaving the ABC TV show ahead of season 11. As reported earlier, ABC has already renewed the sitcom reboot for another season. 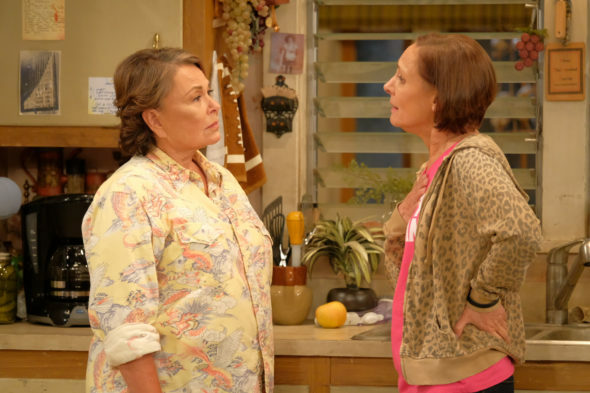 The cast includes Roseanne Barr, John Goodman, Sara Gilbert, Laurie Metcalf, Michael Fishman, Alicia Goranson, Sarah Chalke, Emma Kenney, Ames McNamara, and Jayden Rey. On Twitter, Whitney Cummings announced she not be co-showrunner for season 11 of Roseanne due to scheduling conflicts. Additionally, IndieWire reports the ABC series’ will try to work in more diversity for season 11, including more Hispanic characters and Muslim neighbors. What do you think? Are you watching the Roseanne reboot? Will you watch season 11? More about: ABC TV shows: canceled or renewed?, Roseanne, Roseanne: canceled or renewed? Roseanne: Who Will Play Becky in the ABC Sitcom Revival? Love the show in devery and 10 dawn watching season 11.